MomentPath, a software company that provides a platform to help child care providers connect with loved ones and deliver insight into the care they provide, announced plans to scale up its operations in Hamilton County, hiring up to 50 new employees by 2022. “Innovative products and ideas from Hoosier entrepreneurs like Caitlin Coffman are what fuels Indiana’s reputation as one of the fastest-growing tech hubs,” said Elaine Bedel, president of the Indiana Economic Development Corporation (IEDC). “Our pro-growth climate paired with our state’s passion for supporting small businesses and startups make Indiana the ideal place to scale up an innovative company like MomentPath. The Carmel-based firm provides solutions for monitoring preschool, child care, day care, senior living and elderly care facilities through a comprehensive software platform. Since its launch, MomentPath – formerly tend.ly – has had more than 2.1 million interactions, or moments, through the app. In 2018, MomentPath secured a $1 million seed-stage funding round led by Indiana-based investors, Mike Simmons, Scott McCorkle, Eric Tobias and Michael Browning, and venture capital firm Elevate Ventures, which invested $150,000 from the state’s 21st Century Research and Technology Fund (21 Fund). The company plans to invest more than $800,000 in its operations over the next four years. MomentPath currently occupies approximately 13,000 square feet at 23 E. Main Street in Carmel and plans to upgrade and move into a new, 20,000-square-foot office within six months. As part of the expansion and to support its growth, the company will equip its new office with updated technology and hardware, new furniture and several other amenities. MomentPath, which currently has seven employees, plans to continue scaling its operations by hiring 50 additional positions over the next three years. To support its scale up, the company is currently hiring software developers, professional sales staff, customer care specialists and other administrative personnel. Interested applicants are invited to apply online. 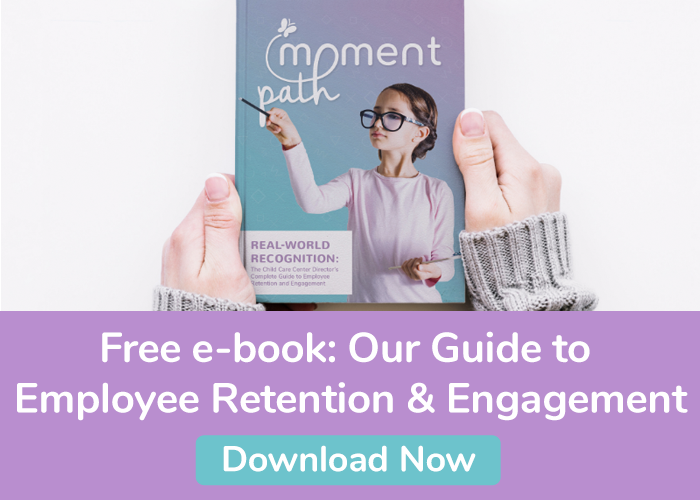 MomentPath was founded as tend.ly in 2014 by Coffman, and recently rebranded to better align with its core mission in helping directors, teachers, and parents tackle the challenges of managing preschools and child care centers. In 2018, the company launched Dynamic Billing™ and Informed Arrival platforms, as well as enhanced parent engagement through direct messaging and their subsidy management system. The platform offers billing, scheduling, curriculum planning, sign in and sign out, daily reports, and standards tracking. The app is customizable for every user and is available on Android and iOS. The IEDC offered MomentPath up to $700,000 in conditional tax credits based on the company’s job creation plans. These tax credits are performance-based, meaning until Hoosiers are hired, the company is not eligible to claim incentives. The city of Carmel supports the project. Elevate Ventures, in partnership with the IEDC, invests in early-stage companies like MomentPath through the state’s 21 Fund, which promotes economic growth and also supports innovation-driven public-private partnerships in Indiana. Through our personalized, all-in-one mobile app, MomentPath allows child care providers to connect with loved ones and provide insight into the care journey. We work with care centers across North America to help them save time by using our simple software to communicate meaningful moments to families, increase staff satisfaction, and create and retain loyal customers. Learn more at www.momentpath.com.